This page is the complete description and details for the summer camp Activity Coordinator position including job responsibilities, dates, wage, etc. At the bottom of the page you can apply online and download the complete PDF job profile. Responsible for: principally monitors but also at times all age group staff. The activity coordinator is responsible for all things on the “activity side”, that is to say they are responsible for managing the vast majority of the daily programme from waking up to meal times, sports, showers, and, of course, evening entertainments. The Activity Coordinator is a mid-management position along with the other coordinators and is the principal manager for all of the monitors (camp counsellors), although they will have a secondary role in managing the rest of the camp staff. Activity Coordinators on TECS Summer Camps are generally the heart and soul of camp, bringing all of the fun, energy, songs and craziness to camp. Activity Coordinators need to be young, or young at heart, individuals who full of imagination and energy in order to meet the extraordinary demands of camp work, while also having a mature and responsible outlook to be able to take on the responsibility for this mid-management position. To ensure the age group activity programme is run to the highest quality in all areas. To manage on all levels the monitors and teachers in the assigned age group. Reading the camp manuals, https://tecsemployment.com/manuals/, and familiarising yourself with all areas of the camp before your arrival. Revise and update camp programme timetables as required. Be responsible for training the monitors and teachers in all areas related to the camp activity programme. Be responsible for the morning routine from wake-up to after breakfast. Be responsible for overseeing the general sports sessions and running the big colour war sports competitions. Be responsible for overseeing the arts and crafts/ project sessions as assigned. Be responsible for ensuring the proper usage of Arts and Crafts materials and sports equipment at all times and ensuring that monitors and teachers always have all the materials they need for activities. Controlling the quality of the arts and crafts programme and the extra activities done on and off site. Be responsible for overseeing showering and chill out/sand pit time as assigned. Be responsible for organising and running the evening entertainments. Be responsible for the putting to bed routine and on every third night the camp night watch. Be responsible for leading the age group on one of the weekend excursions. Run the arrival’s and departure’s programmes for the assigned age group. Be responsible for carrying out constant formal and informal sports observations and meet with staff to have constructive feedback. Meet daily with monitors and, as required, with teachers and inform them of all matters related to the camp or any other pertinent issues. Meet daily with other coordinators (TEFL and Welfare). Meet daily with Camp Director and pass on any relevant information and request needed programme information. Monitor in all areas staff performance and give regular feedback to staff on their performance, both positive and critical, as relevant. At all times keep Camp Director informed on staff performance and problems. Be a constant presence during all camp activities to ensure staff are where they are supposed to be and performing their duties to the required level at all times, also be present to offer support as and when needed. At all times be responsible for up holding camp rules and regulations for staff conduct. Assist in the preparation of the camp site on the weekend before the staff arrival. Monitor the welfare of the children in the age group at all times and discuss regularly with age group welfare monitor about the action taken to deal with problems of the children. Carry out all tasks asked of you by the Director, professionally and thoroughly. As required participate in hygiene check with other coordinators. For Start of Camp during training week. At end of camp as part of tidy up. Are expected to be positive role models to all new coordinators. Are expected to support and provide assistance to new coordinators whenever needed. In case of illness, may be needed to cover for more senior staff. Will take part in management training week, one will also come out a week earlier and be paid an extra bonus for preparing everything for management training week. Will lead combined evening entertainments like Casino Night and Awards Ceremony and will be the overall in charge coordinator during any event or activity when the age groups are combined. Will run the daily coordinator meeting. Is expected to provide constant support and assistance to both new and returnee coordinators as they deem is needed as is assigned by the Camp Director. In case of need may be assigned by Central Office to cover for Camp Director. The hours of work for a Coordinator are not set and are instead dictated by daily events. All candidates should be prepared to have an open work schedule and be prepared to work long hours, particularly in the initial stages of camp, to get jobs/tasks finished. The Coordinator will have one day off each week at the weekend (in training weeks time off will be spread over several days, for example half a day of on one day and half on another – this time off is SET by the training programme and this factor must be understand by all potential applicants) and usually on good days (i.e. ones with few problems) be able to take around a 2-3 hour break in the morning. Each week Activity Coordinators also have a morning off which combines with a night when they are not on night watch in order to allow them to have a needed lay in to recharge their batteries. Activity Coordinators will be the night watch responsible every second or third evening and be required to be on site all night on those days. All staff are also always required to stay on site at night on pre-departure Fridays and on all Sundays. 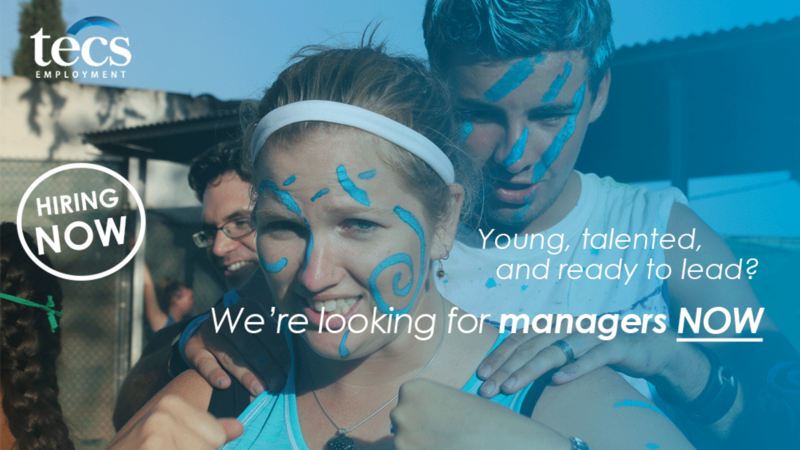 Summer camp experience and preferably in a management position. Experience of organising activities for large groups of children and preferred experience of working with foreign language children. University degree or relevant qualifications in child care preferred. Applicants with TEFL or sporting qualifications will be looked upon favourably. Competent knowledge of Microsoft Office package. May be invited to attend our annual training planning weekend for managers where we focus on getting things ready for the summer, developing our management teams, and bonding the teams. The approximate date is 21st and 22nd of April 2018. Arrive on Sunday the 16th of June 2019. Management Training Week: 17th-23th June. NOTE: Apart from our summer camps we also run various school camps in the month of June so there are options for extra weeks of work for those who are available. If interested, please indicate on application and in interview. There are only Head Coordinators in Family Camp and is a coordinator, usually a returnee, selected by the Ast. Director of Language Camps. The bonus is ONLY for doing responsibilities very well as judged by Camp Director and it is not guaranteed. This will involve coming a week earlier than other coordinators, arrival: 11th June, and involve getting everything ready for the management training week. Often this position is filled by all year round TECS staff. This bonus is only given to non-year round TECS staff as year round ones receive payment for this week already.